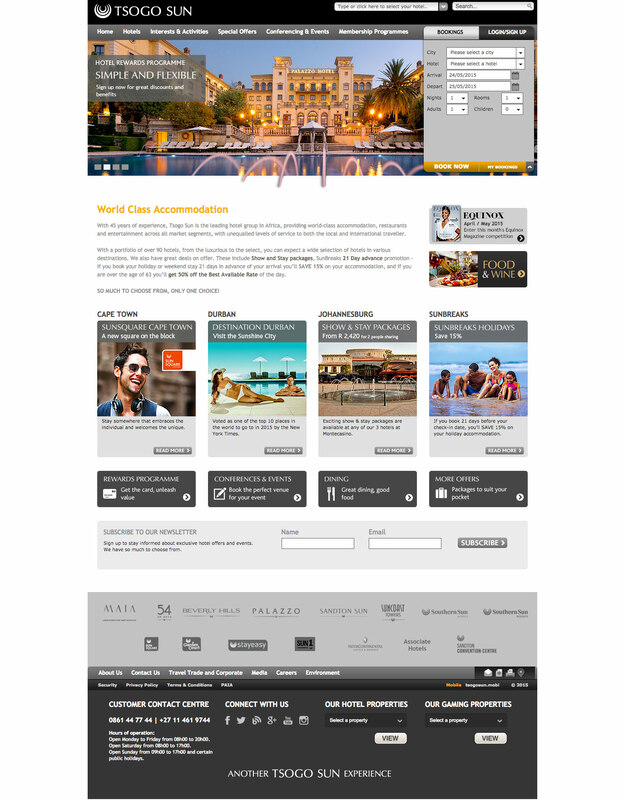 The home pages were redesigned to strengthen the Tsogo Sun brand look and feel and to optimise clickthroughs from the home page to content on the hotels and casino sites. Previously the hotels and corporate sites looked quite different and the redesign helped to identify them as Tsogo Sun properties. I focused on creating the same look and feel for banners and promotional areas while still maintaining the integrity of each site’s identity.